Ginkgo mine operated by Cristal Mining is located 85kms north of Mildura on the Victoria NSW border. The mine needed to upgrade its existing commercial sewerage treatment plant. After considering many options from around Australia, Cristal Mining found that True Water Australia’s solution using the Kubota sewage plant best met their site needs. The Kubota 40kL advanced sewerage treatment plant was the most cost effective option while providing the highest quality and environmental compliance. The site is one of two sand mines operated by Cristal Mining where titanium and zircon minerals are extracted in a manner that protects the values of the natural and social environments in which they operate. The site is home to 240 miners at any given point in time and contains an administration office and accommodation hub. 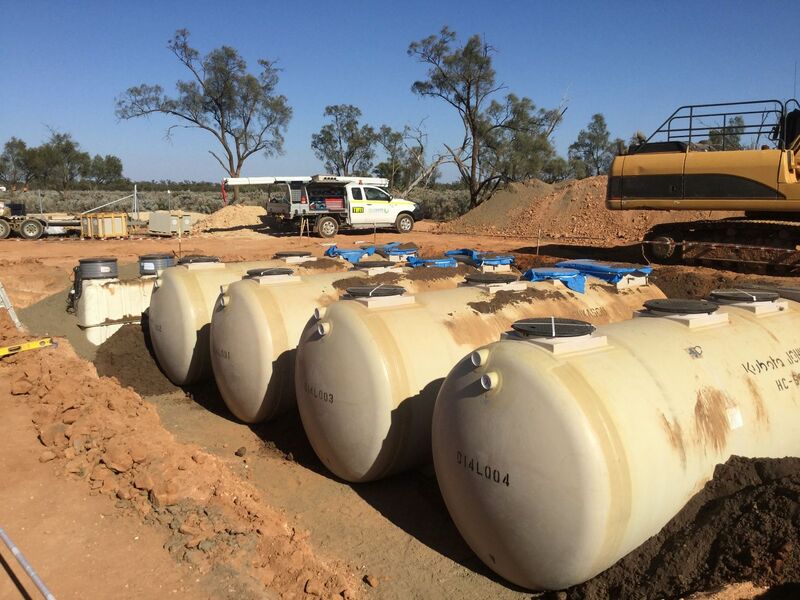 In the extremely remote location True Water Australia’s installation was completed seamlessly with the installation and change over taking only 4 days. Completion of the works ensured the conversion to the Kubota Advanced Treatment Plant provided continued sewage service to the mining camp and mine facility. With the plant now completely operational True Water Australia looks forward to many years of high quality performance and trouble free operation from the Kubota plant. The ease of operation and simplicity of the plant guarantees that Cristal Mining can focus their energy on minerals and will be confident in their sewerage infrastructure compliance and operation. Kubota sewage treatment plants represent the most advanced technology available in the world today with the ability to deliver high performance water treatment. The plants satisfy rigorous quality benchmarks and manufacturing standards guaranteeing quality, performance and longevity. The minimal operational and maintenance costs combined with easy installation of the system assist making the system the most cost effective option available.